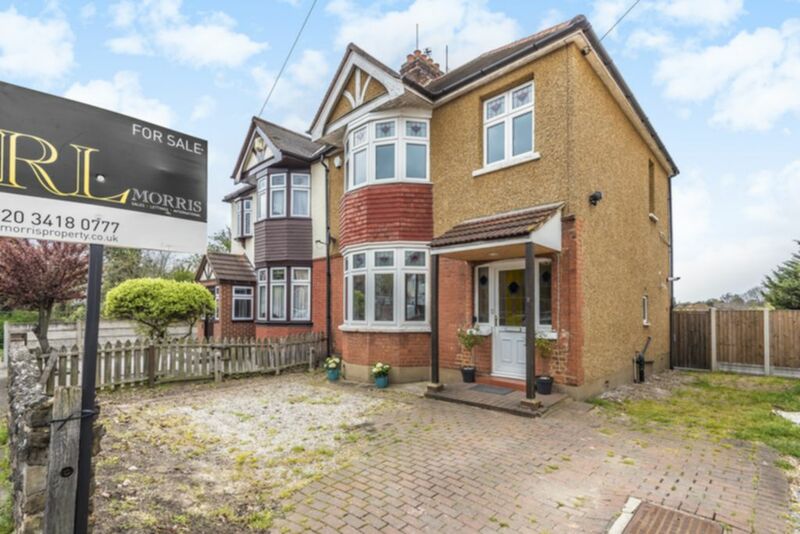 R L are delighted to offer this spacious three bedroom 1930's semi-detached home, located within a stone’s throw of Hornchurch High Street. The current owners have updated the majority of the property internally whilst retaining many original features. The property comprises of; entrance hall with cloakroom, formal reception room with bay window and fire place, open plan kitchen/diner, recently installed new gas central heating and double glazed windows throughout. On the first floor there are two good size bedrooms, a single and fully tiled modern bathroom suite. The master has fitted wardrobes and a bay window with the second bedroom having a fire place and rear facing views. The current owners have re-landscaped the rear garden entirely and consists of partial paved patio area leading to large laid lawn with new fencing with side access. To the front of the property is off-street parking for two vehicles. There is plenty of scope to enhance the floor space by the addition of an extension to the rear, side and loft (subject to the usual planning consent).